Las Posadas at Olvera Street. 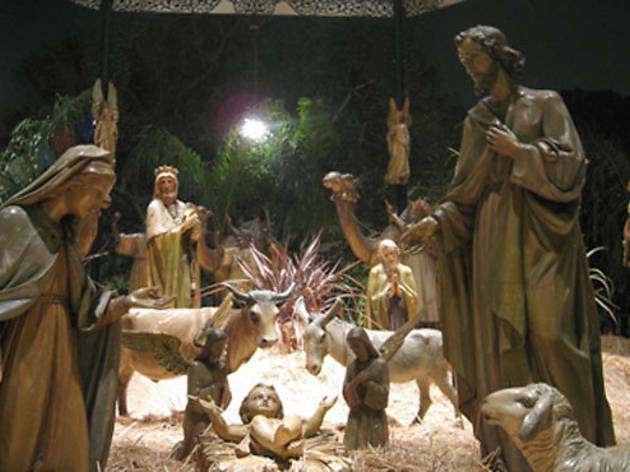 Go to Olvera Street to experience the annual journey of Las Posadas over the nine nights of Advent, during which local merchant families reenact the Christmas Eve journey of Mary and Joseph in Bethlehem while they searched for shelter. The candlelit procession through the street includes adults as well as children and animals. 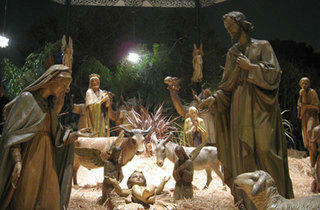 As the group wanders down the street, hymns and songs are performed, until shelter is granted at the final stop. Pan dulce and hot chocolate are then brought out, and a piñata is broken. Fortunately, it's not filled with frankincense and myrrh.